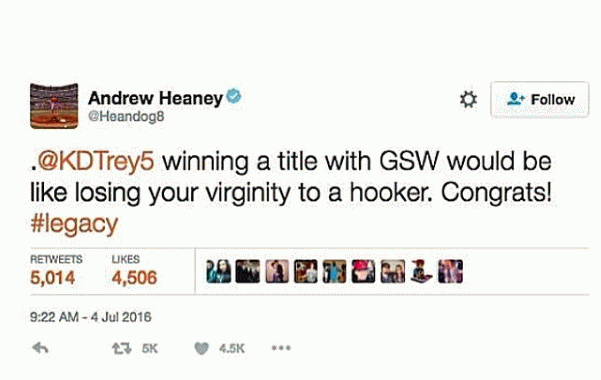 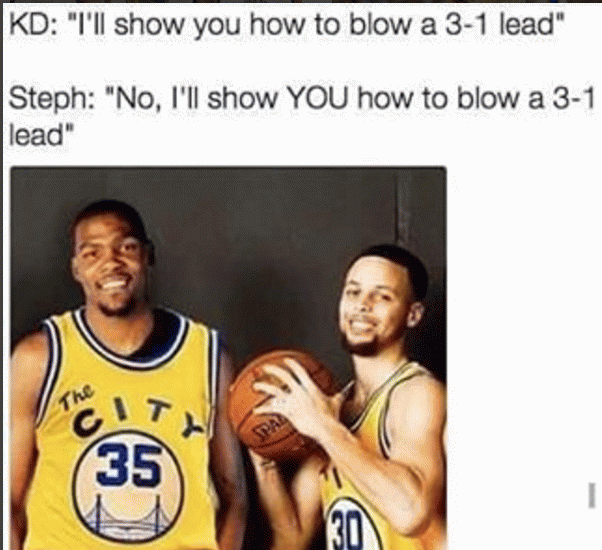 Kevin Durant is taking a social media beating of epic proportions after he shocked the sportsworld and agreed to play for the team that beat him in the NBA Western Conference Finals, the Golden State Warriors. 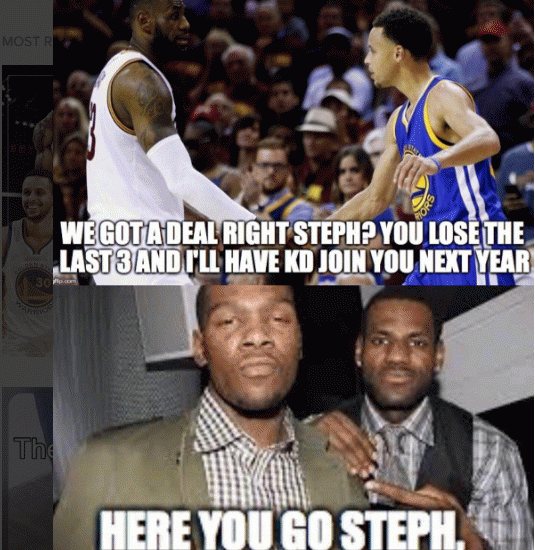 The deal is worth $54 million over two years to play alongside Steph Curry, Klay Thompson and Draymond Green and the Warriors, the very team Durant and his Oklahoma City Thunder squandered a 3-1 series lead and should have gone to the NBA Finals against the Cleveland Cavaliers. 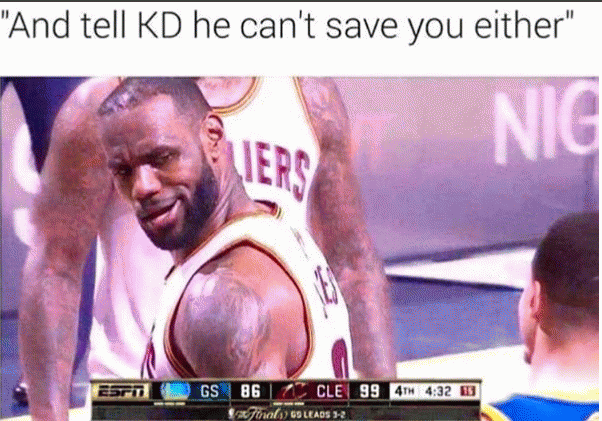 Speaking of which, Durant has suddenly supplanted LeBron James as the most hated player in the NBA after basically repeating what King James did six years ago when he left Northeast Ohio for the comfy confines of South Beach and played alongside Dwyane Wade and Chris Bosh and the Miami Heat. 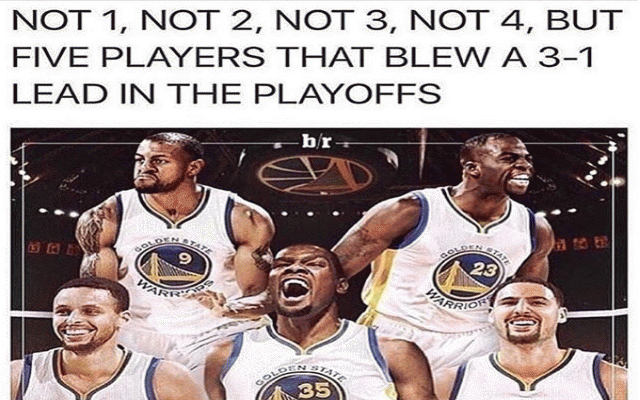 However, lead by LBJ, the Heat went to four straight NBA titles and won two Larry O’Brien trophies. 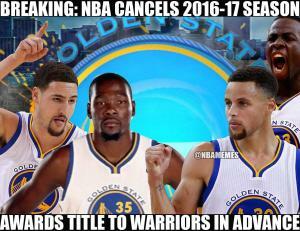 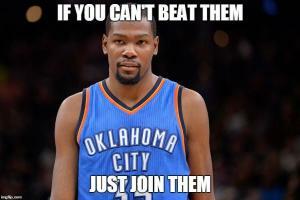 It remains to be seen if Durant can duplicate those feats. 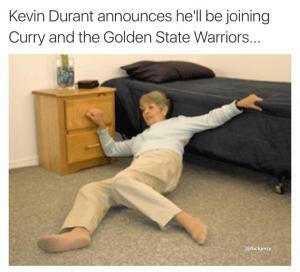 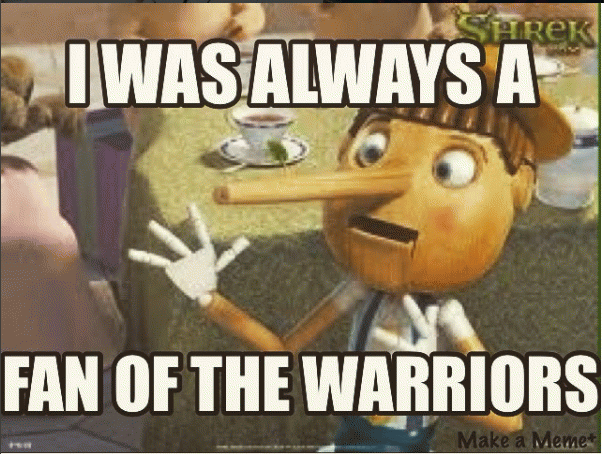 Meanwhile, social media is eating Durant alive. 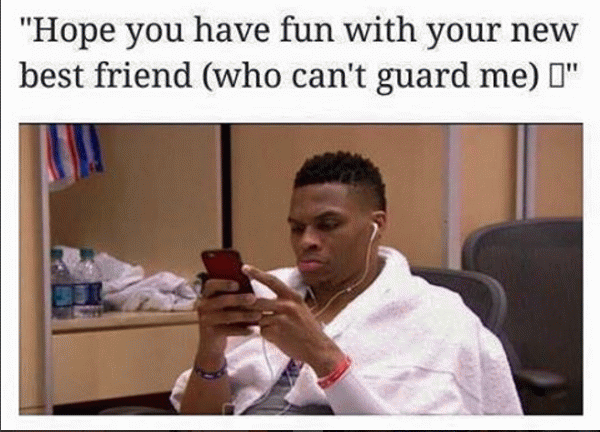 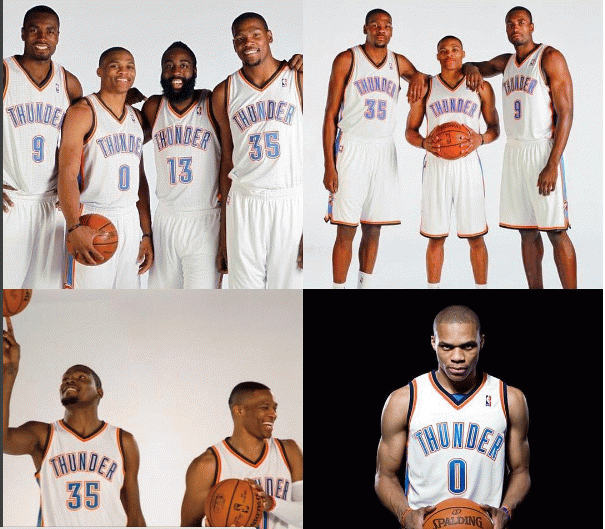 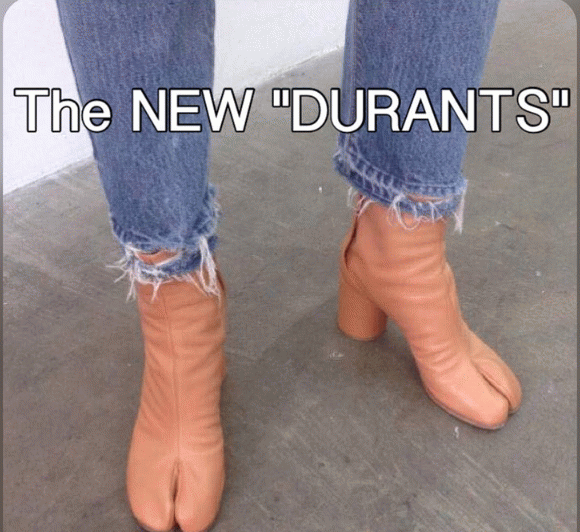 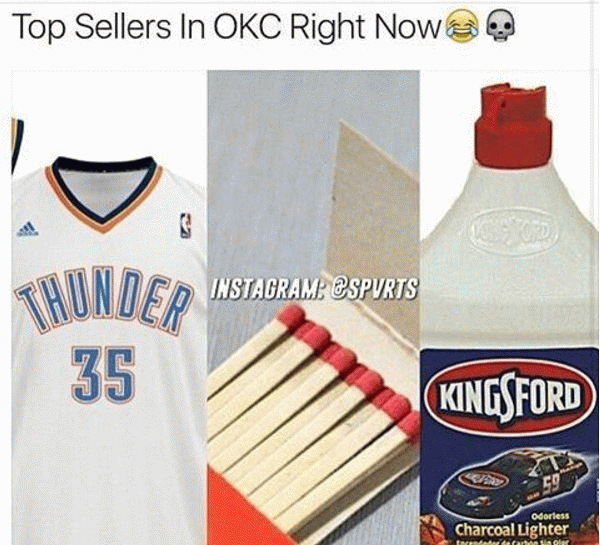 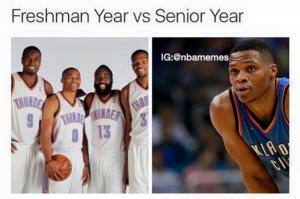 Take a look at the funniest Durant memes for bolting Oklahoma City for Oakland, Calif.
"Make sure you double knot them shits too"
"Hope you have fun with your new best friend (who can't guard me)"
"Hey Gabby, Dwade home? 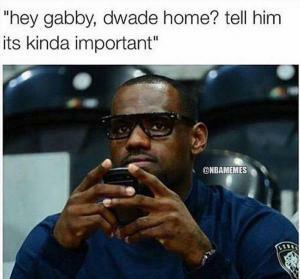 Tell him its kinda important"